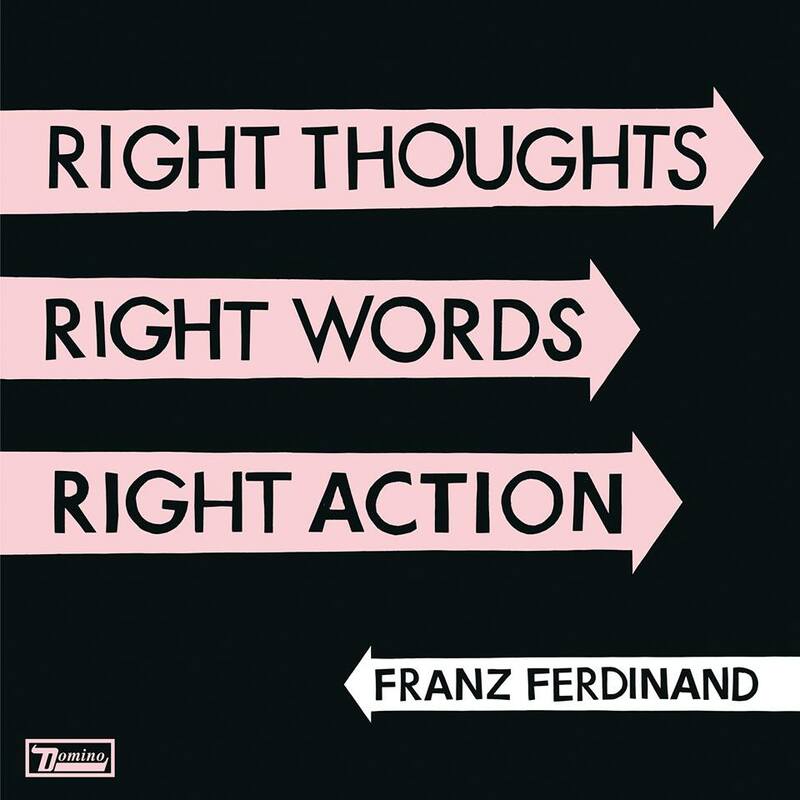 From tour release: Following the release of the bands fourth studio album, ‘Right Thoughts, Right Words, Right Action’ in August, and the daring, defiant and unmistakable Franz Ferdinand will be hitting Australia for east coast shows this November. 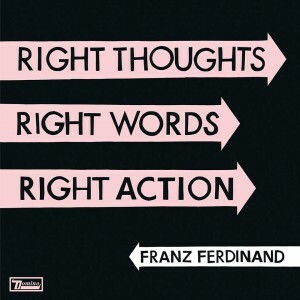 The follow-up to Tonight (2009), ‘Right Thoughts, Right Words, Right Action’ is an exuberant, unencumbered record that sees the Glasgow band rediscovering the imagination, vitality and fun found on their classic, era-encapsulating debut Franz Ferdinand. It’s an ecstatic rejection of the drab convention’s often accompanying that level of attention and expectation. Thanks for your time today, Bob, and obviously you were due to come for Harvest, but thankfully still able to come for some of your own shows, are you excited to be coming back to Australia? Do you have a great memory of a previous tour you can share with us? What can we expect this time around at the shows? Well obviously the new record came out in August, so we’ll be playing a bunch of stuff off that, mixed in with material from the previous three albums really. It’d be crazy to come all the way to Australia and not play the earlier singles that people kind of want to hear, and equally it would be crazy not to play the new stuff, so we’ll mix them together. Your newest album ‘Right Thoughts, Right Words, Right Action’, as you mentioned has been out for a couple of months now, how has the reaction been to it so far? Good you know? It’s been going down well live and fits into the set quite nicely and fans are kind of reacting to songs well, and people down the front know the words so that’s always nice. I think it’s a very positive way to live your life if anything. The title kind of came right towards the end of the process, we’d recorded everything; we’d compiled the album and sort of had the running order and everything. Then came the title, so we trawled through the lyrics of the songs and tried to find something appropriate and that phrase from the song ‘Right Action’ seemed to jump out as a very positive and full of energy title, and it was just how we were feeling as a band and how we feel about the album. It’s just really positive really. In the four years since your last album, what inspired the song that ended up on the new album? All sorts of things really… Between the third and the fourth record we took a bit of a break and recaptured with our real lives, our friends and our family again, so that’s a big way to find ideas for songs really, is to have a bit of real life. So yeah it covers a broad spectrum of things; some of them are inspired by films, and books or postcards that Alex found in a flea market, a very wide sort of area where ideas for songs had come from really. This time around this record we tried to make it different from the previous record in some ways. On the ‘Tonight’ album we went into a studio and wrote and recorded simultaneously, and so it developed songs out of grooves and jams and things. Whereas this time around we wouldn’t go near a recording studio until we had written songs and kind of back to front really, but that gave us the chance to record them very quickly and maintain your energy level which we thought can get lost sometimes if you’re trapped in a studio for months on end. So we wouldn’t go anywhere near a recording studio until we had the songs figured out and that was a big key difference in the process between the third and the fourth albums. Is that a process that you’d stick with? Is it something you felt worked? I think so, yeah, obviously within that there’s room for changes and sometimes a song might appear in a different setting and we just go with it I think that’s a good way for us to work otherwise, but obviously there are exceptions. At over ten years as a band now, what do you think the biggest lesson you’ve learned is about being in this band? Other side of that, out of everything you’ve done over your career so far, has there been one moment that stands out above all the rest? There’s quite a few really, a lot of firsts… like the first time you play a big show in Glasgow in the home town, or the first time you play a show outside of the UK, or the first time you come to Australia, they’re all sort of big moments that you never expected when you started the band, when they do happen it’s like ‘bloody hell this is insane’ like for example, coming to Australia which is such a long way away, and it’s the sort of place I didn’t think I’d get to in my life because it’s not like a regular holiday destination I guess for normal people in Britain. Then to go there with your band and have people come to your show is pretty special. A song like ‘Take Me Out’ is coming up to ten years old but is still played on radio to this day, what do you think it is about that song specifically that worked? It’s just a good song I think, it’s got a good beat, and the lyrics are non-specific in certain areas that it can appeal to everybody. There’s also a lot of humanity in it, especially the intro, I think I don’t know really. You mentioned that you had a four year break, but are you still in writing mode? Yeah we had a lot of material, for the record, we wrote and recorded twenty and picked the best ten, so there are certain things left over and also new ideas kicking around, but we’re going to have a bit of time over Christmas and January and February and be working on stuff. Yeah it’s an ongoing thing, I think having a break freshened things up, and then being able to go back out on tour and playing songs kind of gives you a hunger and wanting more, really. Were you worried that you’d lost that hunger for a little while there? No I don’t think so, I think the break was important just to get our heads straight again really, after doing three albums and touring them on the trot was kind of exhausting, and it was kind of good to get back into real life and reconnect with friends and stuff, that was important, but I think we if anything, we came back with more passion about the band and music in general really, a little bit of space helped with that. 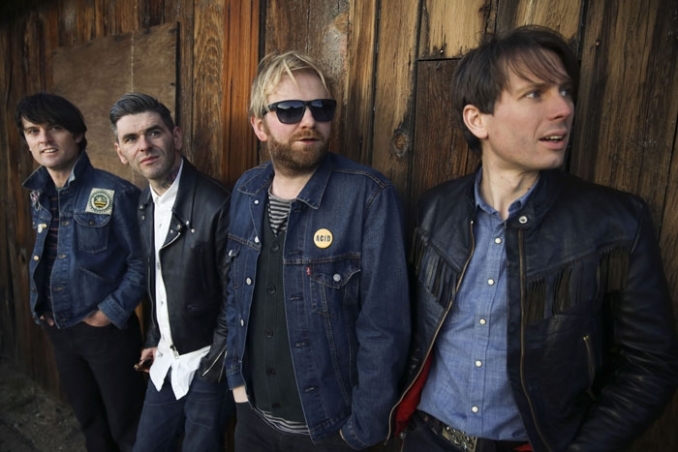 What does 2014 have in store for Franz Ferdinand? We’ll do a bit of writing at the beginning of the year, and then we’re going to go off and do a European tour and then back to The States I imagine, and the European festivals, actually festivals worldwide over the summer and then at the end of the year maybe back into writing a bit of recording, I don’t know. We’re looking forward to coming out and come to the shows and have a drink and it’ll be fun.